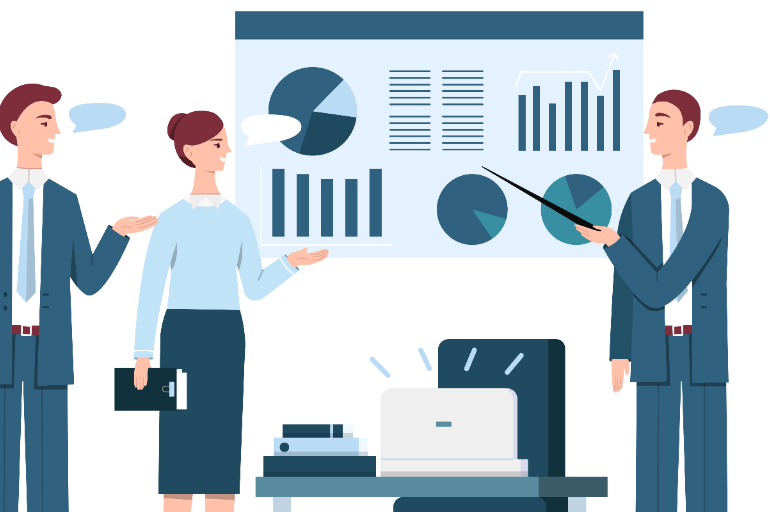 Once you have a few initial customers and are starting to see positive momentum for your product/offering, you know that there is market validation and it is time to acquire more customers by building a B2B lead generation process. You may even suspect that you have hit that obscure object of desire – product-market fit. And have started eyeing that next milestone – a.k.a. Initial traction or 100k in MRR and wondering how long would it take for you to get there. Potentially the most impactful exercise that you should indulge in at this stage, is defining your Ideal Customer Profile (ICP) and Buyer Personas. Having a clear ICP and buyer persona can help you grow to initial traction much faster and solve a number of downstream challenges (more on that later). But first, a brief segue into Product-Market Fit. When Marc Andressen wrote about product market fit way back in 2007, he painted a binary picture – of life pre and post product-market fit. While it was a brilliant concept, evocative enough to become part of everyday startup vernacular, the reality is that Product market fit, is often not a one-time static milestone that a company attains. Rather, it is an ongoing and fluid target that a company needs to continuously track as it grows and evolves in its customer profile. To start with, your company may attain product market fit for a very specific segment of the market (e.g. : SMB companies or early adopters), but the same product may not find traction with fortune 500 customers. Then as the product matures and you add more “enterprisey” features and even add new distribution channels – say field sales, you may attain product-market fit for a more up-market segment and so on. The key, then to hit the next milestone for your company in a targeted and focused manner is figuring out what sub-segment of the market do you have the strongest symptoms of product market fit at that given stage. And if you focus all your energy on that sub-segment, you will have the lowest resistance path to high growth. Approaching the same concept from a different direction, Aaron Ross calls it nailing your niche. Finding that small pond which you can completely dominate and be a big fish in. The Ideal Customer Profile definition exercise is then an attempt to understanding which niche you are in a position to nail at this stage of your product and focusing on this segment. 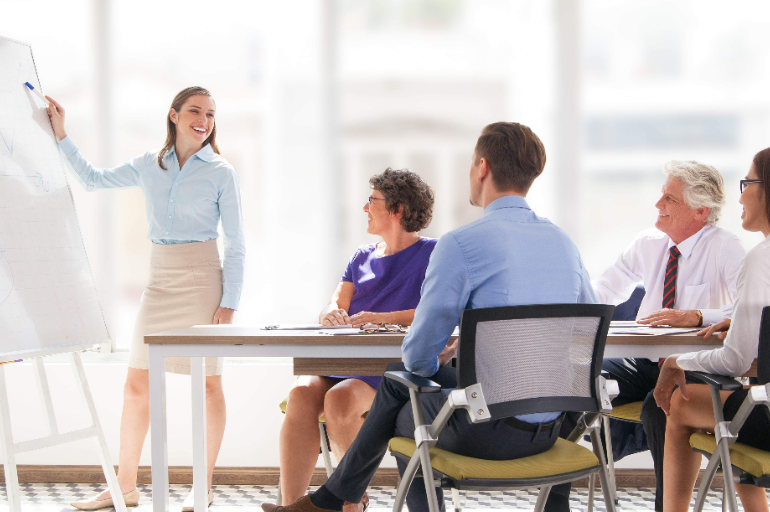 Your entire organization: from outbound prospecting to content marketing to inbound lead qualification and even website content can then work in sync to deliver the best quality leads. The two components of a focused B2B lead generation are the Ideal Customer Profile and the Buyer Persona. 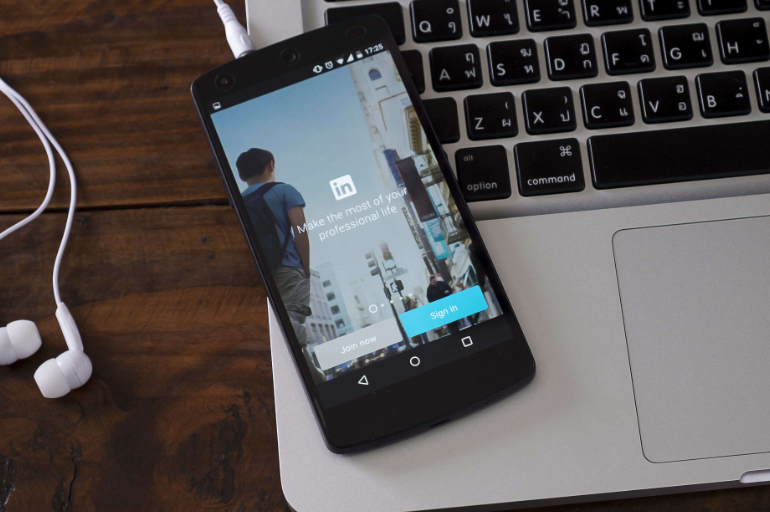 An ideal customer profile provides the types of companies you should target. The buyer persona tells you who are the people to target. Only when you have clarity on which companies to target and which personas to target, you can then find the right channels and lead generation strategies. In the absence of these, your strategy might as well be to just shoot the arrow and draw the bullseye wherever it lands. 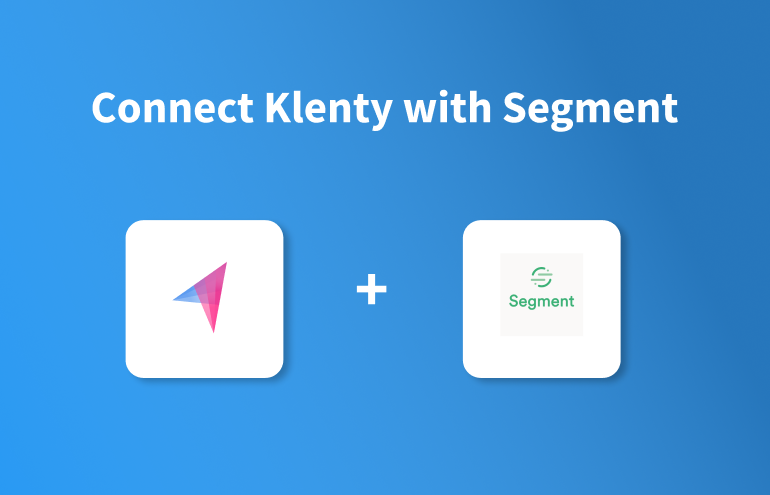 Whether you are planning to ramp up your outbound prospecting or start running ad words or even create content for an inbound lead generation, an ideal customer profile helps you drive clarity and consistency. It drives the messaging on your landing pages, your email copy, your ad copy, your blog content and even your call to action. 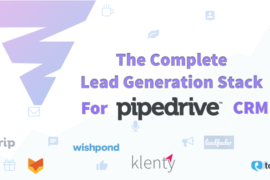 It allows your outbound prospectors and the lead generation team to drive the right set of leads that have the highest chance of success with your product or offering. At a strategic level, it allows you to choose your customers rather than the other way round. 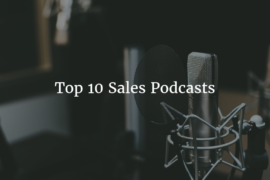 You do this by being deliberate about going after leads that are most likely to convert into paying customers, and are most likely to remain happy customers and are most likely to grow/ expand their spending with you. Downstream problems like churn and retention have their roots in a poor Ideal Customer Profile definition. When a clear ICP is communicated to the rest of the organization, it brings alignment between your product organization and customer organization. Yet, despite all of its benefits, getting to a clear ICP is often a terrifying and challenging step for most entrepreneurs. The terrifying part is that it forces you to focus on one type of customer to the exclusion of others. This is a mindset change for early-stage companies where you may have been used to selling to anyone and everyone willing to buy your product. The other reason identifying your ideal customer profile is so challenging is that most entrepreneurs think they know the answer to this question intuitively. Yet unless you have a very homogenous customer base of very happy customers who all look alike, it is highly likely that your assumptions will be very different from an objective analysis. Having a framework can help you use data and objectivity to pick the right profile to focus on. Analyze your existing customer base to identify your ideal customers. This is your Ideal Customer List. These are customers who are successful with your product and are easy to acquire/ serve. Learn more about your Ideal Customers to draw up an Ideal Customer Profile. The Ideal customer profile is an abstraction of common attributes that your ideal customers share. 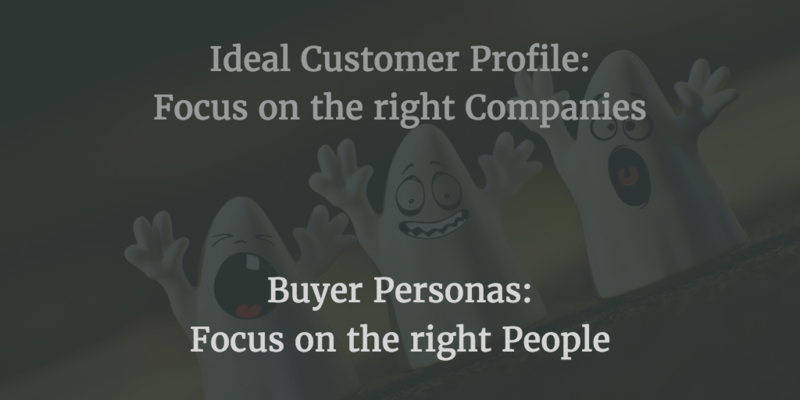 Dig Deeper into your ideal customers to draw up your Buyer Personas. These are the key people who matter. Your Buyer Persona tells you what the key decision makers, influencers, and users of your product look like. Review your B2B Lead Generation Process. Ensure that your lead generation channels, collateral, resources are focused on this Ideal Customer Profile and Buyer Persona. The process begins when you take a good hard look at your existing customers and shortlist which of these customers should be in your ideal customer list. Every product is built to deliver a certain promise. Either you help your customers grow their revenue, or find more leads or support more customers or write better code etc. Usually, it will be possible to quantify the promise and measure whether your customers are truly finding success using your product. For example, if you are a CRM product, your core promise is to help your customers manage their sales pipeline better. If you are building a helpdesk software, then your core promise is to help your customers support more tickets etc. Take a look at your existing customers and analyze whether you are delivering on your core promise. What is the benefit that you are delivering to these customers and see which customers are benefiting more than the others? Remember success with your product is not the same as being happy with your product. A customer may be happy with your product – for a variety of reasons (and having happy customers is important) – but more important is whether they are achieving success with your product. A simple measure to think about this is if you were to double or triple prices tomorrow, how many of your existing customers will continue to work with you and be ROI positive on your product. These are customers derive strong value from your product and are strongly ROI positive. Not all customer derive the same value from your product. But focusing on the sub-segment which derives the maximum value can help you grow faster. Once you have customers who are successful using your product, then you also want customers who are happy with you. These are customers who find your product easy to use, find your level of support delightful, find your product roadmap reasonable etc. An NPS survey is a good tool to use to identify your happy and not so happy customers. Now that you have a list of successful and happy customers, you now need to further filter the list to identify customers who are most economically attractive to acquire and serve. Look at your happy customers to see which of these offer the highest revenue expansion potential. The expansion could occur because they are growing as an organization and are likely to use more of your product. Customers with high expansion potential should be high on your ideal customer list. Evaluate which customers are easiest to support. How much of handholding and assistance do they need? Do they need special onboarding help or can they self-serve? Customers who require the least amount of support are more ideal. Other things being equal, customers with higher ACV are more attractive. Clearly, it would be easier to grow if you went after the highest ACV customers rather than smaller customers. At this stage you should have a short list of customers who love your product and who you find easy to acquire/ serve. This is your list of ideal customers. These are the customers you want to target. If you had an option to pick and choose leads that show up at your door step, these are the customers you are hoping would come knocking. It is time to learn more about your ideal customers and understand what the underlying common patterns are. Use a mix of secondary research, LinkedIn/ company website as well as conversations with these customers to learn more about them. These should help you understand what the common parameters among your successful customers are. Do they come from one particular industry? Do they have a similar number of employees? Do they come from a certain geography? Do they focus on certain industry verticals etc? Our ideal customer is a US-based SAAS company selling to the SMB space. The company makes annual revenues of USD 1 to 10 million. Has about 20-40 employees. They are usually VC funded – and have usually raised about USD 3-10 million. The company typically employs an outsourced bookkeeping service and has recently hired its first finance employee. Did they switch from another product to yours? Or were they doing things manually? If you find that a majority of your customers switched from another competing product, then it is a valuable insight that you can use to go after the competitor’s customers. Prior to using us, our customers typically do this process either manually or using custom code to manage recurring billing and subscriptions. Getting an understanding of other software tools that your customers use (especially in adjacent areas) can give you a sense of customers that you can target. For example, you are in the sales space, then knowing which CRM most of your customers use would be a useful data point to know. If you find a strong common thread among all of your customers, then you can use that knowledge to add more specificity to your Ideal Customer Profile and sharpen your lead generation accordingly. Our customers typically use Stripe as the payment gateway and use Quickbooks to manage their accounts. The Jobs to be done(JTBD) framework – first introduced by Clayton Christensen is a powerful way to understand your customer’s motivations. It is a useful exercise to think about what “job” is your customer hiring you to do. And more importantly, when does your ideal customer need this job to be done and how does this help her. When Saas Companies grow in excess of 50 recurring customers, they want to manage the hassle of recurring billing and managing subscriptions for their customers so that the company can focus on its core business of building software. The JTBD framework provides useful triggers that can help you identify when your prospective customer starts searching for a solution. Your chances of making a sale are best when you reach your prospect at trigger event/ stage. Prior to using us, our Ideal Customers typically do this process either manually or use custom code to manage recurring billing and subscriptions. Our Ideal Customer typically uses Stripe as the payment gateway and use Quickbooks to manage their accounts. Our Ideal Customer has typically just crossed 50 recurring invoices – and is looking to manage the hassle of recurring subscriptions. So that our ideal customer can focus on the core business of building software. Now that you have an ideal customer profile description, it is time to peel the onion one level deeper to look at the humans that make your Ideal Customer. While the Ideal Customer Profile helps you hunt the right companies to target, the reality is that you still need to navigate multiple people in these companies and understand what makes them tick. This is where Buyer Personas help. To start with let us go back to the ideal customer list and evaluate who was involved in the purchase process. 1. Who are the users, influencers, and decision-makers involved in purchasing your product? For each of the companies in your ideal customer list, evaluate who was involved in the purchase process. Who did you first meet at the company? Who was the final decision maker? Who were the other stakeholders involved in this process? Start with the decision maker and then the influencers and users, you need to understand how they benefit from your product and how you can use them to grow your business. This is the most basic type of research, the type that you can do on your buyer personas using Linkedin or a company website. It will help you understand if the decision makers at each of your Ideal Customers have a common job title. Are they all VPs or CXO or Directors? 3. What is their key goal/ responsibility or what does it take for this person to be successful? 4. What are the constraints they are operating under? Does your decision maker suffer from not having enough people or enough time or enough capital? These are the typical constraints/ limitations that people at companies have. For example, a CEO at a company that may have just raised Series A capital may not have a solid team in place yet and at the same time, she may want to grow fast – but capital may not be a constraint. Knowing what is the key constraint which this person faces is useful to know how to position your product. Where do they consume content? What blogs do they read? Which social media are they more active on. Which publications do they read? Which influencers do they follow? How do they learn about new ideas and trends? Where do they research new products? Which means of communication do they use the most. Gene Schwartz in his legendary tome Breakthrough Advertising provides a framework for classifying prospects based on their level of awareness. 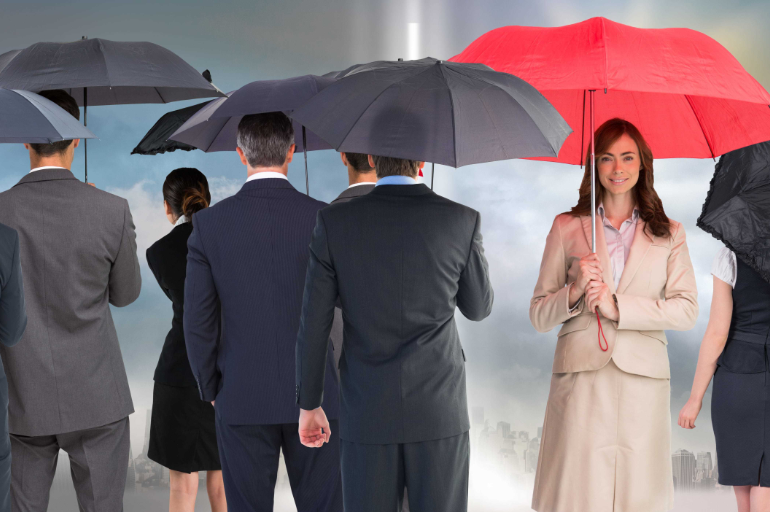 What is the typical level of awareness of your Buyer Persona? Does she know that she has a problem? Does she know about the solution? Obviously, it is a lot easier to convince someone further along the awareness continuum than someone who is completely unaware. You now have sufficient data to build detailed Buyer Personas around decision makers, influencers, and users of your product. Sample templates can be viewed here. 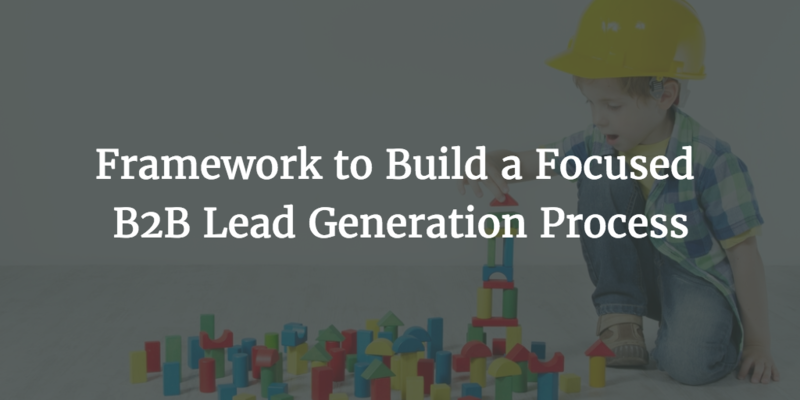 You now have the key inputs needed to build a focused B2B lead generation process. Given your ICP and Buyer Persona, you are now in a position to pick the best channels to find such buyers. If you plan to use content marketing, then you know who you are writing for, what are the topics of interest for them. 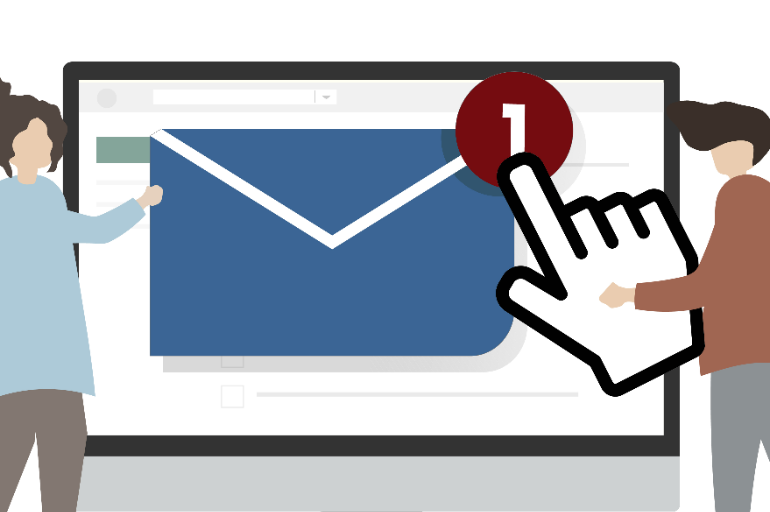 If you are planning to use outbound prospecting, then you should have much greater clarity on how to build your prospect lists, where to find your prospects and what messaging will resonate best with them. To know more about outbound sales prospecting, you can refer to our detailed blog post here. Your website copy, your sales collateral, your support pages can all be aligned towards your buyer’s level of awareness. 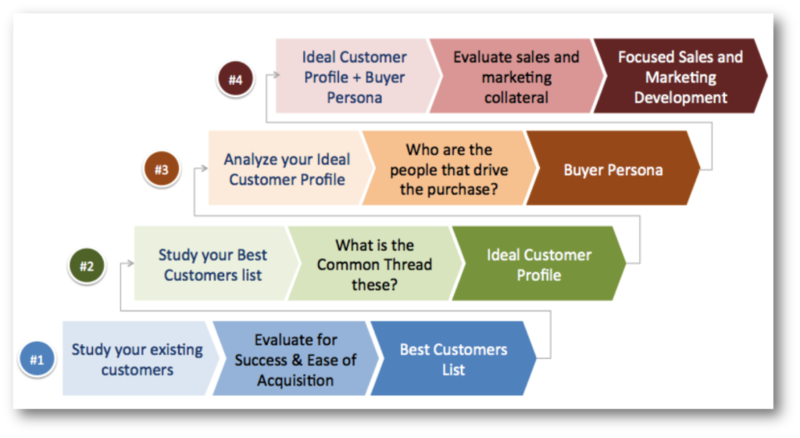 A framework for Ideal Customer Profile Development by TopoHQ.